A couple of people asked me the same questions yesterday. How do vaccines end up on a schedule, how are they regulated, and by whom? Reckon those are great questions, some answers ensue. How does a vaccine end up on the schedule? This is based on need, or other words the burden of a disease. It could be rare but highly fatal and leave horrific disabilities in survivors, like meningococcal disease. Or perhaps common and less serious in most people, but because so many people get it there are many deaths and hospitalisations, like measles. If there is a safe and effective vaccine available and the country can afford it (the cost/benefit numbers work) then there is a good chance it will end up on the schedule. So, basically adding a vaccine to a schedule is based on need, or burden of disease. How does a vaccine get invented? The process of vaccine discovery will begin by identifying a disease in need of a vaccine. Basic science will occur to try and identify a protective part of the disease causing organism and a suitable vaccine design. This can take years. Once candidate vaccines have been developed there will be a lot of work in test tubes and animal models. If the vaccine candidate looks promising there may eventually be a decision has been made to go to human trials. This will include significant development of the manufacturing processes. There will be consultation with regulatory agencies to ensure their expectations will be met for the entire process. What testing do vaccines go through? Before a vaccine can be licensed there are many hoops to jump through. All of these processes will be monitored and reviewed by the regulatory agencies (Think of the US FDA and European Medical Association). These are the government (or public) agencies that are responsible for authority over medicines. Their actions are subject to legal review and they are there to protect the public. The role of the regulatory agencies will entail regular visits to the manufacturing plant and audits of the clinical trial sites along with the product data. Regular and routine inspection of facilities will continue for the life of the product. The results of inspections, say by the FDA, are made public. The ‘first in humans’ will entail Phase I studies of just a few health adult volunteers. The main outcomes are safety and the immune response. All going well this will be expanded to Phase II which will include larger numbers, look at safety, dosing and immune responses, expanding into other age groups etc. Phase III trials look at safety and efficacy (the ability to protect against disease.) These studies will be randomised controlled studies where the participants receive either the active vaccine or a placebo, or different vaccine. There is considerable risk during this period as clinical trials are expensive beyond belief (each participant costs many thousands of dollars.) Sometimes trials must be very large. The rotavirus vaccine trials had in the order of 70,000 infants in them (vaccine vs placebo). If all goes well with the Phase III studies the company will apply for registration. They will also need to present their plan for post licensure studies. This is a pretty big deal and an arduous process. Other that the major regulatory agencies such as the FDA and EMA each country has its own. In NZ this is MedSafe. The vaccine dossier will be reviewed by the local agency as part of the registration process. MedSafe will continue to monitor the product for as long as it is in use. How is a vaccine monitored after introduction? Once a vaccine comes into use it is monitored for safety and effectiveness for the duration of its use and beyond. Every country in the world has a vaccination programme and every country has at the very least a basic safety monitoring system to check for unusual patterns of adverse events. 125 countries feed their vaccine safety surveillance into a global WHO system in Sweden. 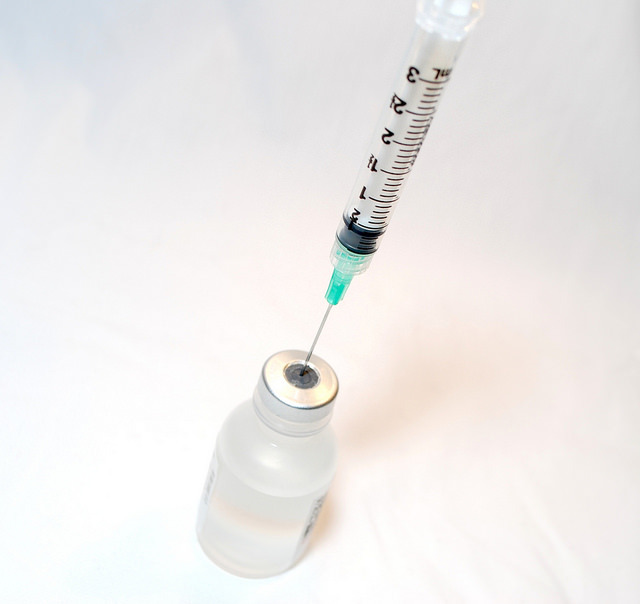 On top of that there are a multitude of agencies and institutions that carry out vaccine safety and effectiveness studies, most of these studies will compare vaccinated with unvaccinated people. There are constant reviews of the data by ministries of health as well as global agencies. The WHO has a Strategic Advisory Group of Experts on Immunisation and they review vaccines globally four times a year in Geneva. Other groups, such as the Global Advisory Committee on Vaccine Safety are dedicated to specific aspects. They also meet several times a year to review the global situation. Vaccines are monitored by experts in many fields. Think of the collective medical degrees and PhDs in immunology, microbiology, infectious diseases, virology, pharmacology, toxicology, epidemiology, vaccinology…. On top of that the years upon years of research experience and scientific process, constant review by peers… that go into developing and testing, and regulating a vaccine. Sometimes people say they have done hundreds of hours of internet research and discovered that vaccines are harmful, before they have bothered to take a basic graduate course in statistics and epidemiology, got their PhD, conducted primary research, and published it in respected peer reviewed journals…. The pharmaceutical companies are the entities that invest in the clinical trials as well as some of the post licensure studies, so yes it is they that collect any profits. To bring a vaccine to market today costs an average 2.2 billion dollars. If it goes pear shaped, in that the vaccine does not work, is not safe, or no one wants to buy it, then that will hurt. However, obviously they are in the business of making money so will be aiming for profit! It is worth noting though that there is generally a much better profit in drugs like cardiovascular meds or Viagra than vaccines. As much as some people resent big pharma the fact is that without them there would be no vaccines, or any other medications. While the vaccines we use in NZ are made by huge multinational pharmaceutical companies, these companies do not regulate the vaccines. They have to comply with the regulators and prove it, frequently. If they did not comply they would be shut down and out of business, and they like to be in business! So… Countries add vaccines to their schedules based on need and affordability. Vaccines are monitored from conception to the grave by regulatory agencies. Pharmaceutical companies develop and make the vaccines and are monitored by the regulator agencies. Global groups of experts review the science regularly.